Immaculate Quality Custom Built Ranch with Full finished Walk-out Basement! Wide Open Living Space! High Ceilings~Lots of natural light! Beautiful Kitchen. Energy saving Geothermal Heating System! Barn. Beautiful fenced 18.6 Acres M/L! Great Hwy access! Lots of upgrades in this gorgeous home! Arched Doorways, Crown Moulding, Sprinkler system, Remote Control Security Gate! 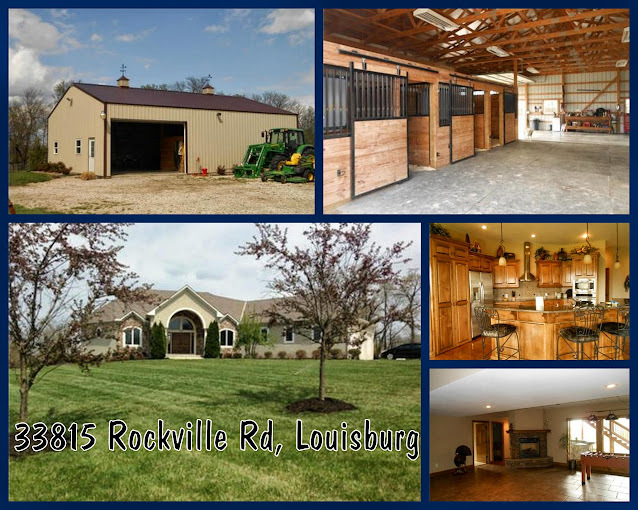 Huge 3 Car Garage, 36 x 48 Barn with 3 Stalls & Tack room. Nicely landscaped! High end Finishes! Great Master Suite with See-Thru Fireplace, Great Bath with Tub & Walk-in Shower, Large Walk-in Closet & access to Covered Maintenance-Free Deck! Awesome Walk-Out Basement with Wet Bar & Fireplace! This entry was posted in Louisburg, New Listings by crownrealty. Bookmark the permalink.